Beauty entrepreneur Susan Gerrard has launched a branded training academy for the UK spa market. Qualifications offered at the Susan Gerrard Beauty Academy range from spa and beauty therapies to specialist nail care and all courses will be taught at a purpose-built facility in Borehamwood, Hertfordshire. As well as VTCT Level 2 Diplomas and Certificates – which take up to 30 weeks to complete – the academy will feature shorter courses, designed to "offer an insight into the industry". Susan Gerrard said: "With the launch of the Susan Gerrard Beauty Academy, we aim to provide an environment for students to thrive and achieve advanced beauty therapy skills and retail and homecare know-how. "With my experience of more than 50 years as a manicurist, an educator, a distributor and now a manufacturer, the market has evolved and there are gaps for a higher, more comprehensive training. "With the Academy we hope to give beauty therapists advanced skills, teach them how to interact with their clientele and improve the profit potential for their business. We shall be devoting time and passion to ensure our students enter the industry fully prepared and confident." Gerrard brought the Jessica natural nail care to the UK in 1992 and has been credited with helping to raise the status of professional nail care in the country. In 2011 she went on to create her own cosmetics brand - Mii Cosmetics – targeting spas and salons. 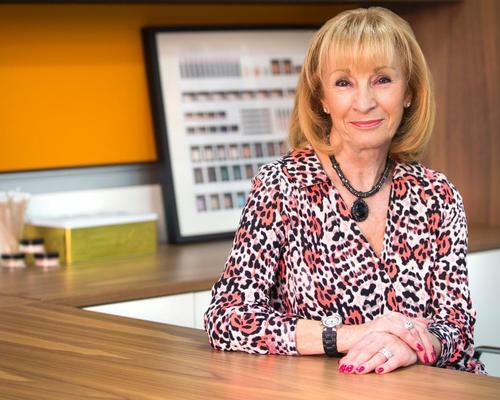 Gerrard was awarded the Scratch Stars Lifetime Achievement Award for her contribution to the professional beauty industry in 2016.